This Valentine’s Day, couples of all walks of life are looking for that perfect getaway. Among gifts of chocolates, flowers and nice dinners, booking your first holiday together or that dream escape to Asia is bound to inspire romance. Here at Buffalo Tours, we offer a wide-range of tours for a romantic journey, but are fully aware of the changing dynamics in travel. More and more couples want not only a memorable holiday, but a responsible one, that can positively impact the communities they visit. To see a new corner of the world, enjoy the finer things, and meet people while encouraging sustainable development is the future. Asia has not only a wide-range of destinations perfect for a tranquil and amorous holiday, but also offers plenty of opportunities to travel responsibly, making it the perfect destination for romantic and responsible holidays. For those aware of their global impact or seeking to make a difference on their journey, or even those who just want to retreat to a corner of paradise, it’s easy to be responsible on your romantic getaway. Responsible travel is not a burden, or obstacle, but merely a new way of looking at your adventure, made simpler with industry trends changing. Here are some tips for the couple looking for their next holiday to be locally based, environmentally friendly, and have a positive impact on the country they visit. A romantic and responsible holiday is easier than you think, whatever you’re style, budget or sense of adventure! Here are five tips to help you make the most of your getaway. Responsible and romantic holidays in Asia can even happy in the lap of luxury! As responsible travel trends become increasingly integrated into the travel industry, the number luxury accommodations have increased all over Asia. A hotel or resort can have a great long-term positive impact for destinations and more remote communities. Providing long term jobs, built from sustainable materials, a platform for selling artisanal crafts and/or minimizing environmental impact are just a few of the ways eco-resorts can impact the community for the better. Not only do local economies, social conditions and environmental impacts improve, but you also can stay in a variety of destinations in comfort and style. From the 4 Rivers Floating Lodge in Cambodia’s Cardamom rainforest to the Misool Eco Resort perched on wooden slits by coral reefs in Indonesia, there’s plenty of options for the couple looking for the ultimate in responsible luxury holiday. Some couples look for a more local and cultural adventure on their getaway. For those who want to experience local life firsthand, like adventurous treks or just exploring remote villages, homestays in rural corners of Southeast Asia offer the perfect glimpse into another world. Once a popular holiday destination during the French colonial era, a homestay in Sapa’s tiered rice paddy hills offer a glimpse into a completely different side of Vietnam. Staying with one of the region’s ethnic minority groups, you and your loved one can discover more about remote mountainous communities. 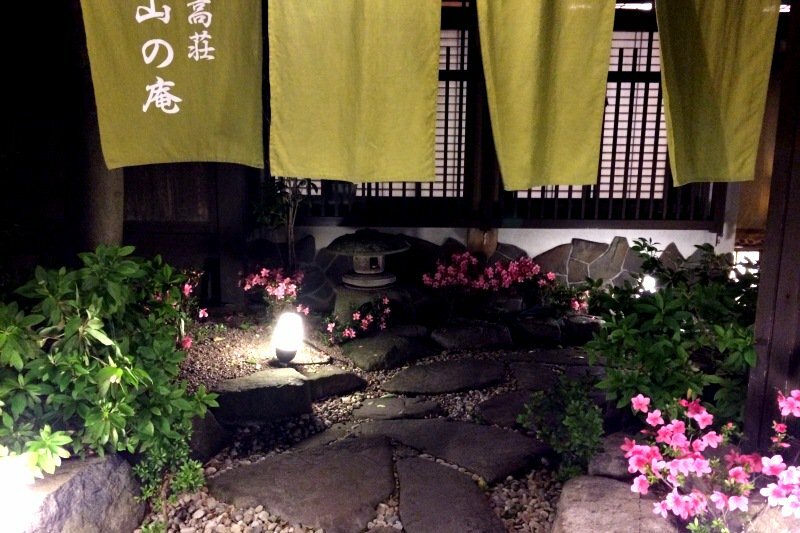 A trip to Japan would be amiss without spending a night or two at a traditional ryokan. These inns offer a sumptuous experience of centuries old traditions. Enjoy an onsen bath, sport a yukata and tuck into a mutli-course dinner, or kaiseki. Whatever you both prefer, there are plenty of places to stay, preserve cultures and make lasting memories. Dates on your journey can go beyond sightseeing. Activities can offer a fun and special way to support Asia’s diverse communities, preserve cultures and benefit social change. 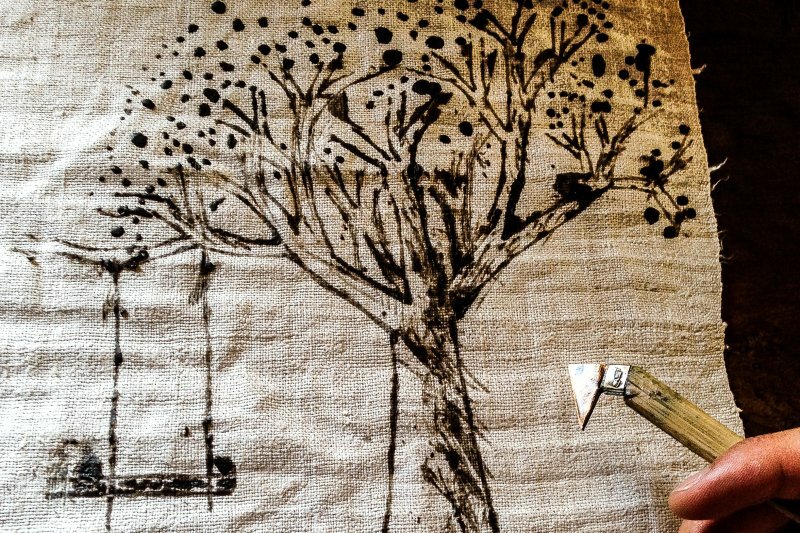 Why not work on a batik piece with your partner in a sleepy village in the valleys of Sapa? Or discover the role of bamboo in Laotian culture on a half day experience just outside of Luang Prabang. A venture in Tokyo learning tradition taiko drumming or taking a meditation course in Kyoto both offer unique experiences while preserving culture. Finally, after exploring Angkor Wat, why not have a date at the circus? Enjoy an evening under the big-top, with jaw-dropping acrobatic-dance performances by young Cambodian artists telling stories of their country. Not only will it be a night to remember, but all proceeds support the education programs that reach out to impoverished children and young adults in the community. Dinning is half of the thrill of an adventure in Asia. For couples looking to enrich their holidays with memorable meals, many options provide not only chic-dining experiences but extraordinary ones. Consider a social enterprise restaurant, as more and more have popped up all over the region, offering training programs that help impoverished youth gain skills in the service and tourism industry. 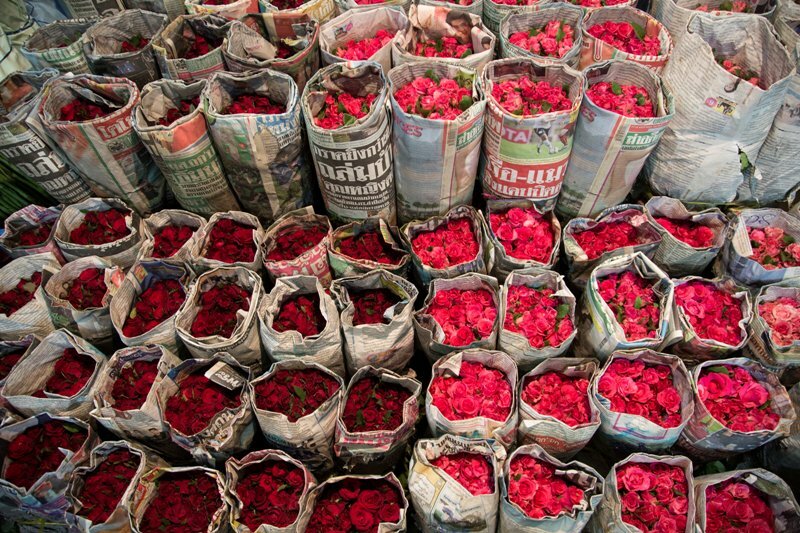 Not only does this offer an opportunity for sustainable employment, it’s a memorable way to celebrate Valentine’s and give a little back. Check out some of our Responsible Travel Guides here, for recommendations. 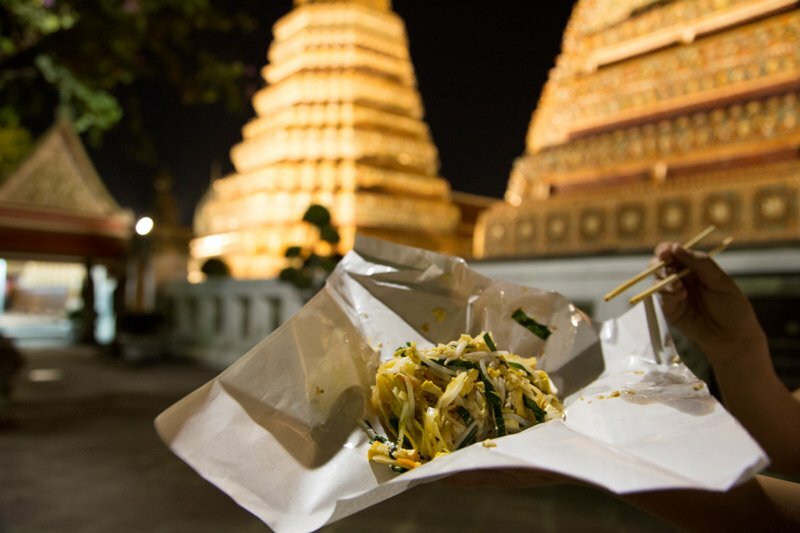 Another great option is a street food tour, which offers plenty of opportunity for not only delicious local grub that goes into local pockets, but a memorable experience for the adventurous culinary couple! Wherever you go in Asia there are plenty of convenient and charming transport options for the couple looking to offset their carbon footprint! Whether a trek to Inle Lake in Myanmar, or a cycle through Angkor Wat, the options are endless. 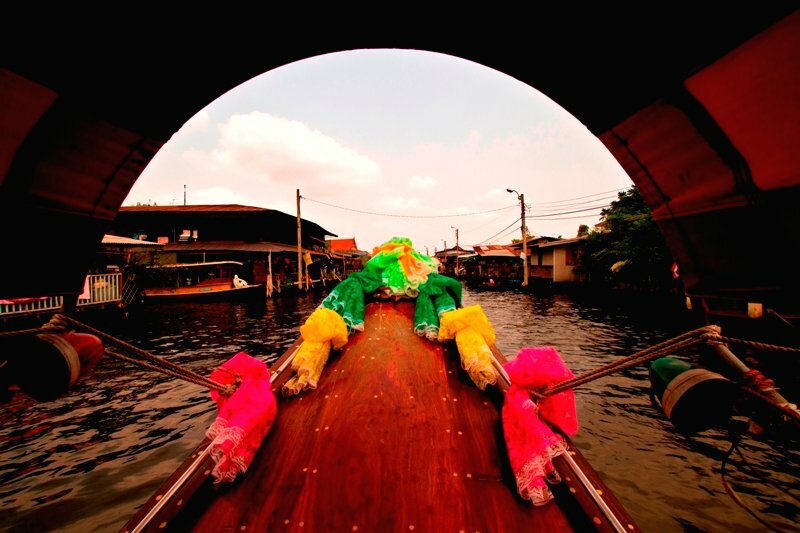 Ride on the many canals of Bangkok for a view of the city from the waterways. Riding public transit in Hong Kong, whether subway or double-decker buses, offers endless opportunities to explore. The Japan Rail provides convenient transport throughout the island nation, at minimal environmental impact. The circle train in Yangon is an invigorating afternoon activity to discover lesser seen corners of the city amongst friendly local commuters. Finally, a tour of Vietnam by train offers spectacular scenery all from a charming car on the iconic reunification rail line. Whatever your preference or passion as a couple, Asia offers a wide range of options to help you get around with a minimal environmental cost. We hope you’ve found this romantic and responsible holidays guide helpful for planning your next escape in Asia. For more information on incredible adventures in the region, take a look at our tailor-made tours, for that perfect holiday for you and your loved one!